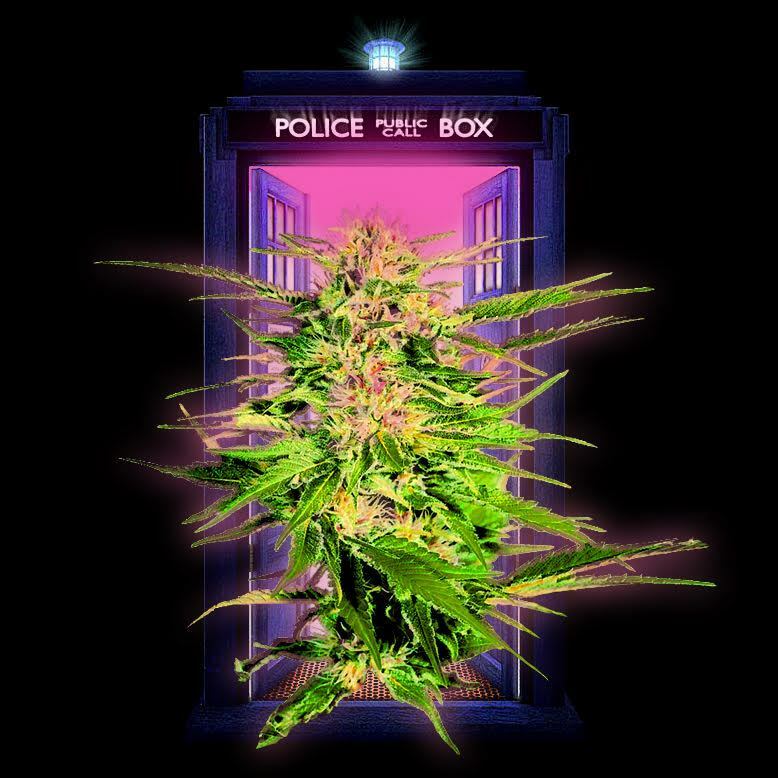 In the first installment of This TARDIS Grows Weed with Artificial Intelligence, I explained how incredibly overwhelming it was for me to contemplate setting up a decent small grow situation as a rank novice. There were not only wildly varying philosophical approaches one might employ growing the dankest of nugs, but also a dizzying number of products, potions, pitfalls and problems. The proper cohort of gear needs to be amassed and assembled and it looked like there would inevitably be mistakes made along the way, some of them expensive, or at least time consuming. Growing pot seems easy if everything goes smoothly, but if one tiny thing goes wrong, then all can be lost. What are you going to do about spider mites? Mold? Nutrient burn? What is nutrient burn anyway? As I stated before and I will reiterate now, I have no experience growing anything. I am not handy with tools. I only knew enough to know that I know nothing of any substance on the topic of growing pot. The more research I did on the subject, the less I felt I knew. It was the very inverse of the Dunning-Kruger Effect. The more I knew, the more ignorant I felt. And then there it was, the Cloudponics automated grow box, which seemed to be not only a turnkey solution to simply start growing--one that comes assembled and ready to go--but something where it appeared that minds far more seasoned, experienced and attuned to the requirements than mine will ever be had already grappled with the variables and provided a perfect, readymade, highly sophisticated plug-n-play solution. All of the problems you could possibly encounter growing pot (such as optimal nutrient, humidity and temperature control) were pushed far enough outside of probability so as not to cause a concern for the novice grower. As I examined their website, watched some of the YouTube reviewers, and contemplated the Cloudponics approach, well, the clouds parted for me mentally. All of the nagging things that bothered me seemed to be resolved by their design. It anticipated and solved problems before they even started--including that of mold and spider mites--and it felt quite foolproof, the fool being me. Most of all it promised to be very, very easy. This was probably the most important thing to me. It represented an obvious clearing in what I considered the obstacles between me and growing pot successfully. My own efforts seemed to be somewhat minimal to the proceedings and that suited me just fine. It also meant that my distinctly amateur status should have little or no negative impact on the results. It really just required good genetics, water and time. In case you've read this far--I mean going back to the first installment--and not watched the Cloudponics video posted there and below, let me spell out simply what happens with the Cloudponics device: You fill two tanks with water. You plant your seeds or clones in these plant cuppy things you can buy at Home Depot and you place them in the grow closet and turn on the water pump. You download the Cloudponics app and pair your phone with your grow closet. You then take the five bottles of liquid nutrients (provided) and pH balance up or down, poke holes in their foil seals and put the five tubes on the back of the machine into the appropriately labeled positions. You go back to the app and tell it what kind of pot you'll be growing (there are dozens of stains included in their database) and what the date is. You go into settings and you cause each of the nutrient tubes to be filled. AND THAT IS ABOUT IT. There are electronic sensors in the nutrient tank for pH balance and so forth, and a computer reads them in real time adjusting levels as necessary for the strain being grown. After a few weeks of vegetation, the smartly designed LED lights inside (the impressive Black Dog lights mentioned in the first installment and more on that subject later) change over to the light cycle for flowering plants. I noticed that there was an affiliate program--when you are a blogger, you tend to notice these things--and so I reached out for more information and a Cloudponics representative got right back to me. After a few pleasant conversations, it was clear that our interests were mutually aligned--I wanted to grow pot and they wanted more people to know about their product-- and that I would write about my experiences as a person with zero--zip, none, nada--experience growing any plant of any kind and see how it went. They were about to launch their new and improved Cloudponics 2.0, designed with user input and with a larger grow closet space in a few weeks and I would take delivery of the second one to come off the assembly line. The first went to Raekwon of Wu Tang Clan and I enjoyed knowing what he and I would share in common. Photo illustration by Ron Kretsch. How do the tabloids have so many “Exclusive!” stories?